Since 2001, the window cleaning service of Cavalier Window Cleaning & Power Washing has been helping the local community. In fact, we have helped a little over 2000 to date. We have a team that is comprised of window cleaners and power washing specialists. We offer years of industry and customer service. Our team is licensed and bonded for your safety and protection. It is our goal to be dedicated to the complete satisfaction or every residential and commercial customer. You can buy window cleaning spray on just about any corner, today. A store bought cleaner often does more harm than good as it leaves behind hard to remove streaks and smudges that are tough to remove. It seems they multiply the harder you wipe. No more will you see that film left behind. We can hand-wash your windows and get them so clean the only problem that you’re going to have is keeping people from walking into them. Your view will be much clearer from your office or home in Charlottesville as well. We abide by the rules of safety whenever we’re on the job to perform power washing. A good power washing job can be done without the extremes associated with it. We will use a solution that’s very gentle on your siding, driveway, porch or any other exterior landmark. Commercially or residential, we will take every precaution possible to ensure that your job is completed without damage. Our techs are trained in the proper power washing techniques so that your cleaning gets done professionally. If you’re seeking services for your gutters; you have certainly come to the right place. Our gutter services include cleaning, repairs and protection. Your gutters have a job to do and that’s to prevent your roof from harm. We’ll get on your roof, clean out your gutter to avoid clogs and make them work 100%. We are always available to provide our services wherever and year round. We’re detailed and deliver meticulous work that even includes cleanup. 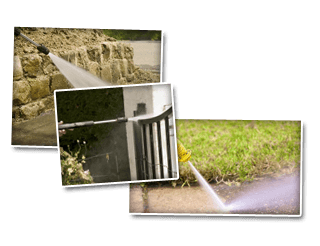 Why Hire Cavalier Window Cleaning & Power Washing? There is always a reason to hire Cavalier Window Cleaning & Power Washing. We are fast in response, respect your home and trained carefully in power washing, gutter services and window cleaning, so the next time that you need window cleaning services done; make sure that you comet o the experts who get the job done right. If you are looking for window cleaning services in Charlottesville then please call 434-823-1737 or 540-910-1434 or complete our online request form.